Mini-Bourke sighting! Photo via Bourke Eventing FB page, by Jane Jennings. It’s spring (at least it feels like it) which means it’s time for the next generation of eventers to start attending shows. 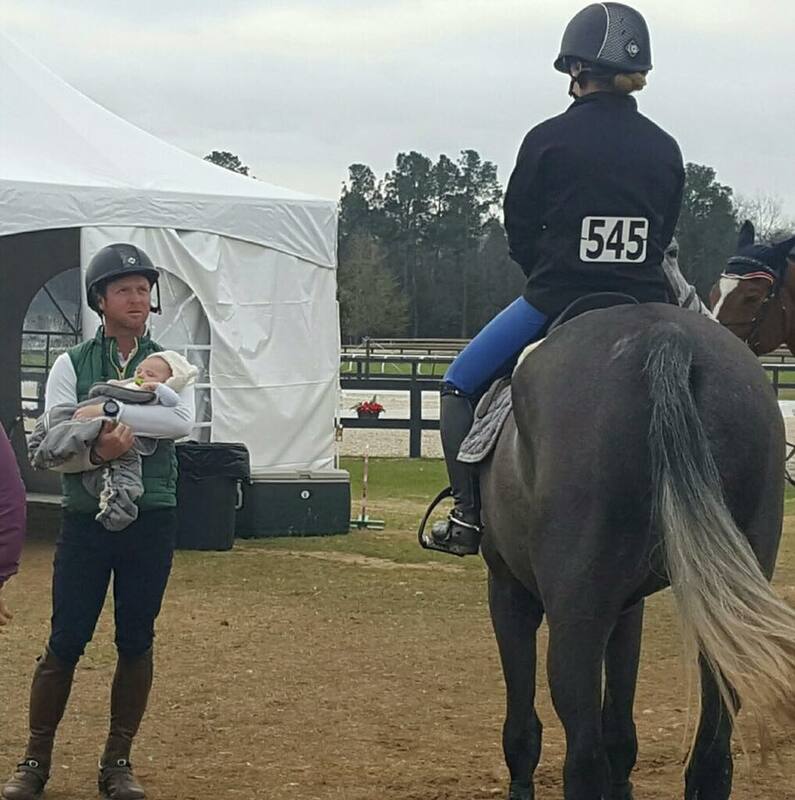 Timothy Bourke was spotted with a tiny auditor in tow as he coached students out at an event last weekend and it surely won’t be the last time we see this tiny spectator this spring.